Mystery rooms in recent years have become one of the most popular group entertainment types in the world. Of course, Bulgaria was did not wait long to join, and in just a few years in almost all the cities of the country escape rooms with different themes were open. If you are looking for a way to have fun or want to learn how to play in a team - that's the way! Why are the escape rooms so popular that they never go out of fashion? Who would not want to have a way to transfer to another place, get out of their comfort zone and experience something different than the usual activities they are dealing with? And who would not at least leave the phone, tablet and notebook on the side and communicate with their friends “live” and without technology interfering with the good experience? This is what escape rooms do - allow you to escape from the daily routine, move away from the virtual space for a bit and have fun with your friends. Each escape room tells a different story and depending on what your group's preferences are, you can choose in which adventure to go. Overcoming various obstacles, solving logical puzzles, and above all teamwork, without which the mystery would not be solved in time, is an extremely powerful incentive for all players. Observations show that after a game in the mystery room people go out with positive emotions, happier and more willing to share with each other... and yes, a better working team. The conditions for participating in the games are easy - you just need a group (friends, family, colleagues) who like to solve riddles, like to be winners, and who would die for at least an hour in the role of an international thief, scientist, policeman, secret service agent, archaeologist and so many others. If you find such kindred souls, all you need to do is to find the most attractive escape room and start the team game. Not for nothing are escape rooms preferred by team managers for teambuilding activities . During the game, participants need to work together as a team if they want to solve the riddle and get out before the time runs out. In just one hour of teamwork, people get to know each other a lot more than working desk by desk for a few years in the office. But will everyone who wants to try their skills in solving riddles in a locked room be able to participate? To be able to take part in such game of riddles, age is not important. 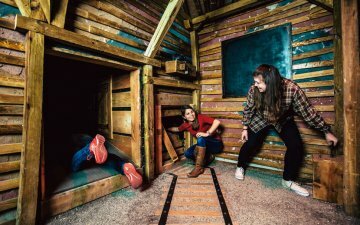 There are a lot of escape rooms in the country that are designed for children, so there is no problem choosing a room with mysteries for your child. Here the only condition is to have an adult present in the room. There are no problems if your grandparents (and their friends) want to find out "what the young people do in these rooms locked for a whole hour." There is, however, a group of people who are afraid of confined spaces and the situation for them is slightly different. Claustrophobia is one of the most common phobias and it consists in the fear of closed, crowded or narrow rooms. The word claustrophobia is a combination of the Latin word - claustrum (closed space) and the Greek word φοβία (fear). More than 10% of the EU population suffers in varying degrees from fear of closed and narrow spaces. In some people, fear may be less severe and they may feel slightly anxious when in a subway, elevator, or other space without windows. In others, however, the symptoms are much moreserious, and those suffering from this phobia can panic, get vertigo, nausea, vomiting, and abundant sweating and so on. Usually claustrophobia is due to trauma experienced in childhood and the treatment of this disease can be quite difficult and time-consuming, but it is not a disease that interferes with the self-sufficiency of people experiencing such fears. People with claustrophobia are aware of their problem and take steps not to fall into situations that can upset them. They work, walk and do all the activities everyone else does. They are just a little more cautious than the rest of people regarding the places they visit. - whether there are cameras in the room to monitor the game, and if necessary, employees can intervene immediately. All escape rooms provide similar information, so it will not be difficult to find the room where you can have fun with a friend who has a fear of confined spaces. Still, are the escape rooms dangerous for people with fear of confined spaces or not as much? 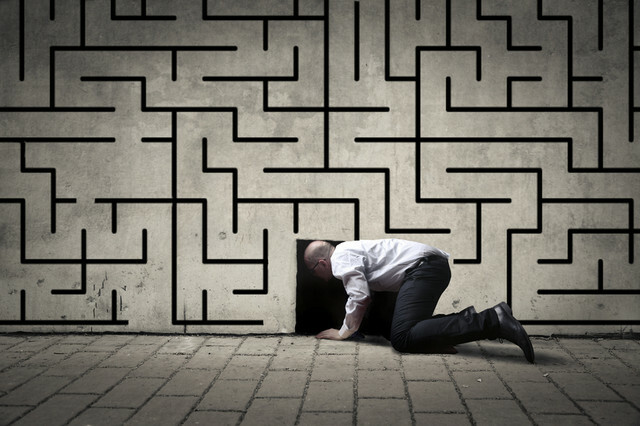 Usually, along with the conditions and rules of the games, Escape Rooms indicate that the participation of people suffering from claustrophobia is not advisable. However, this is not a ban but only a warning about the possible problems that may arise during the game. We say “possible problems” since observations have shown that during the solving of mysteries, people with fear of confined spaces are hardly afraid because they are entangled in the game, find themselves among familiar faces and are aware that the door can always be opened in case of need. One of the most effective treatments that is recommended for claustrophobia is the cognitive behavioral therapy . In this therapy, the patient is placed in a situation that is frightening for him or her in order to try and overcome the fear (in the same way the fear of flying is treated). After all it turns out that escape rooms are a very good and effective therapy to deal with the fear of closed spaces. In other words, if you or your friend suffer from some form of claustrophobia, but you are willing to overcome your phobia and have fun with others, you can do so if the escape does not explicitly prohibit people suffering from this type of phobia from participating. However, you should not underestimate the fear of confined spaces, and as we have just said above, you must be absolutely sure that you can stop playing the game at the first symptom of panic and exit the room. You must also be confident that you really want to do it. If there is a person suffering from claustrophobia in your group, but is determined to participate in the solving of the mystery, how will you know if they are panicking or coping well once you've entered the room? If you recognize any of these symptoms in one of the participants, stop the game. Escape rooms are a great way to have fun together with friends, family and colleagues, so if you have not tried to solve any mystery yet, do not wait long, gather a team and play! You will not regret it not even for one moment!